Want to learn more about copying documents from file shares and migrating them to your SharePoint environment? Look no further! Here, i'll show you just how easy it can be with Sharegate! 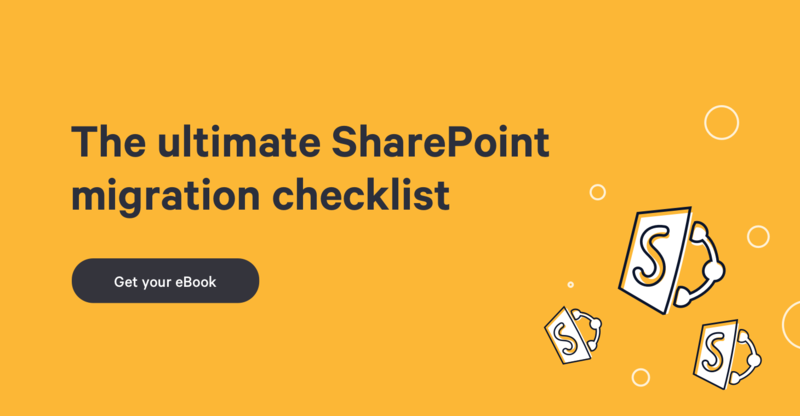 While copying your system file shares into SharePoint sounds like a pretty complicated and time-consuming task, Sharegate literally makes it one of the simplest tasks you'll have to complete all day. Let's get things started. Your first step is telling Sharegate exactly what you'd like to do. In this case, we're going to select "Copy files to Sharegate" from the home menu. Below is an image of what you'll see in your interface. Selecting your tasks are this easy! Next, you need to tell Sharegate where you'd like to copy the files to. In order to ensure the risk of errors is elimintaed, or at least minimized, you should visit your SharePoint site using a web browser, copy the URL, and paste it into the field specified in the below image. Once you've successfully entered your SharePoint site into Sharegate, you will see an organized list containing all elements in your entire SharePoint environment, conveniently displayed before you, as illustrated by the image below. From here, you'll be able to easily navigate to, and choose, a destination document library for your file share documents. Let's go ahead and choose one. The next screen will ask you how you'd like to copy your files into SharePoint. The majority of the time I choose "Full Copy" because it preserves all the data from the original file shares, such as modified date, etc. So, for the purpose of this example let's use "Full Copy", as well. DONE! Copying documents from your file shares to your SharePoint environment really doesn't get any easier than this! Additionally, you can see how using "Full Copy" preserved my "modified date". Simply awesome!